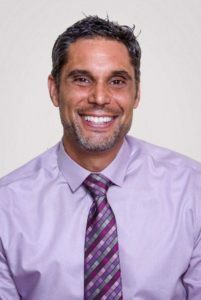 Jeff DeMario, Jupiter Florida, brings 26 years of experience working with youth and young adults. As a native New Yorker, he began his career as an aspiring social worker at the age of 17 when he took his first job at K-Mart. Amid “blue light specials” it was clear even then that Jeff was only interested in helping people as he gravitated towards the problem solving and social aspects of the job. Jeff graduated Marist College, New York with a degree in Psychology, then ultimately finished his Master’s Degree in Social Work with the University of Alabama. Jeff has focused his whole career working with youth. Over the year he has engaged youth from juvenile justice, mental health, pregnant and parenting, mentoring and foster care programs. Jeff has made an impact on hundreds of young adults through his work as Statewide Chair for a committee dedicated to issues for older foster youth appointed by the Secretary of the Department of Children and Families, as a local and statewide advocate for youth homelessness, and trainer in housing and homeless resources in Palm Beach County. Jeff is continually inspired by the young adults he serves and will tell you paychecks occur more frequently when you factor in how much you can help the life of another. For the past 12 years, Jeff is the Chief Executive Officer of Vita Nova, Inc. Jeff remains occupied with finding the best practices for homeless youth – while pressing the team to incorporate factors of family to help youth become successful adults. When not at Vita Nova Jeff enjoys time with his wife Jill, and two teen age boys Riley and Reece, and their Great Dane Oliver.